Savor your time with friends and loved ones this Memorial Day! 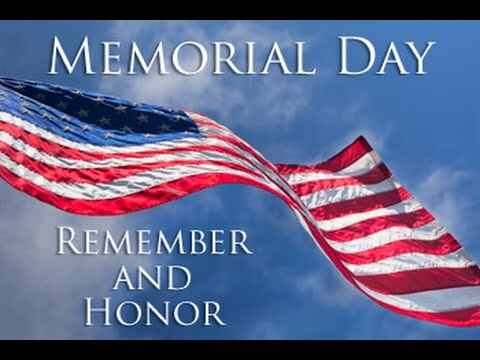 Don’t forget to spend some time reflecting on all of those who dedicated their lives for this country! Whether the rain will put a hold on your special plans or not, be sure to dedicate your thoughts to the true reason we celebrate this day.